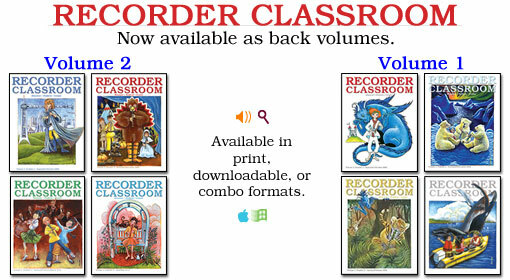 We are taking a bit of a sabbatical from creating the next full year of Recorder Classroom. But don't worry! We have enjoyed producing this magazine, and we are extremely proud of all we have done in it; but in the year to come, we will not be publishing Volume 3 of Recorder Classroom just yet, for several reasons. Probably the main reason we are taking a pause is that we are a small company, and doing two magazines is taking a toll on the people who publish them. 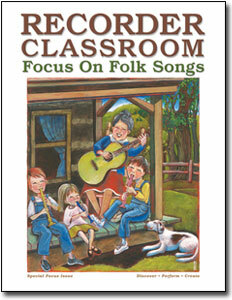 This special issue will contain all new material (as usual), structured like every other issue, but centered on one theme: Folk Songs. You'll find everything you have come to expect from Recorder Classroom including our great team of writers working with all types of folk music. As with our previous issues, you can order this one ahead of time and, as always, this jam-packed issue also has a number of valuable, web-based resources.